Paintball Derbyshire: A great range of venues in the Midlands! Delta Force Paintball Derbyshire offers paintball enthusiasts the choice of four state-of-the-art paintball centres, all based in the Midlands: Birmingham, Staffordshire, Nottinghamshire and Manchester. 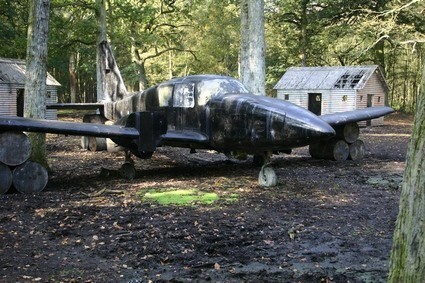 Delta Force Paintball Birmingham is the largest of the four and sits within 64 acres of lush woodlands. The venue is based just off the M42 motorway at Junction 4 and is within easy reach of nearby Derbyshire. It has 10 movie-set themed paintball game scenarios for customers to enjoy including Pablo Escobar’s Air Strip and Viet Cong Village and is suitable for both adults and children, over the age of 8 years old. Delta Force Paintball Staffordshire is a lovely venue with attractive looking battlefields for guests to play on and a number of thrilling game zones to enjoy. As one of our smaller centres, it offers a personal touch which isn’t always found at other paintball centres. And with its selection of paintball pyrotechnics on offer (i.e. smoke grenades and MK5 Thunderflashes) it’s a popular choice for customers living in Staffordshire. Then there’s Delta Force Paintball Nottingham located just off the M1 motorway at Junction 24; it’s so close to the motorway exit it even has its own private entrance! Great for customers who worry about getting lost – there’s definitely no chance of that happening on your way here! The centre features six varied game zones, including The Haunted Graveyard, Viet Cong Village, Tomb Raider, Command Post, Castle Wallenberg and Mad Murphy’s Jungle Attack. 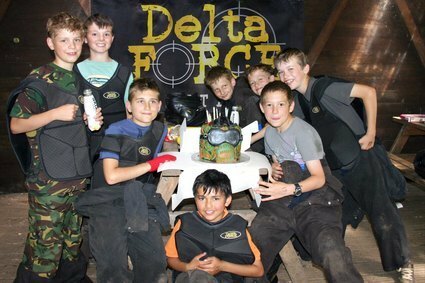 Our final Delta Force Paintball centre near Derbyshire is situated in Manchester. The centre has a beautiful backdrop of the Cheshire countryside and makes a fantastic venue for children’s birthday parties! Where else can you experience the great outdoors, getting plenty of exercise and fresh air and acting out your favourite action hero video games with all your friends? Featuring six varied paintball game zones, from Command Post to Chemical Alley, it’s a popular choice for customers living in the Manchester area. To book a day of paintballing at one of our Delta Force Paintball Derbyshire centres or to request further information, call 0203 869 9301 today and speak to a member of the team who will be happy to help.